Aliport Commercial were first contacted in November 2013 about this project. 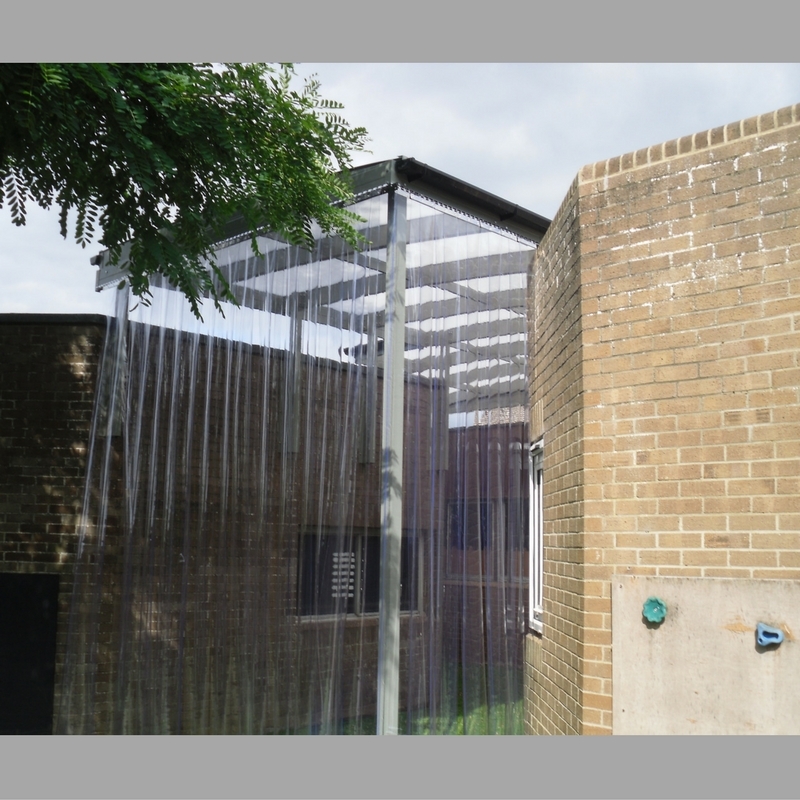 Abingdon Preparatory School required an outdoor storage area for play equipment which is easily accessible for staff and will keep the play equipment sheltered from the elements. 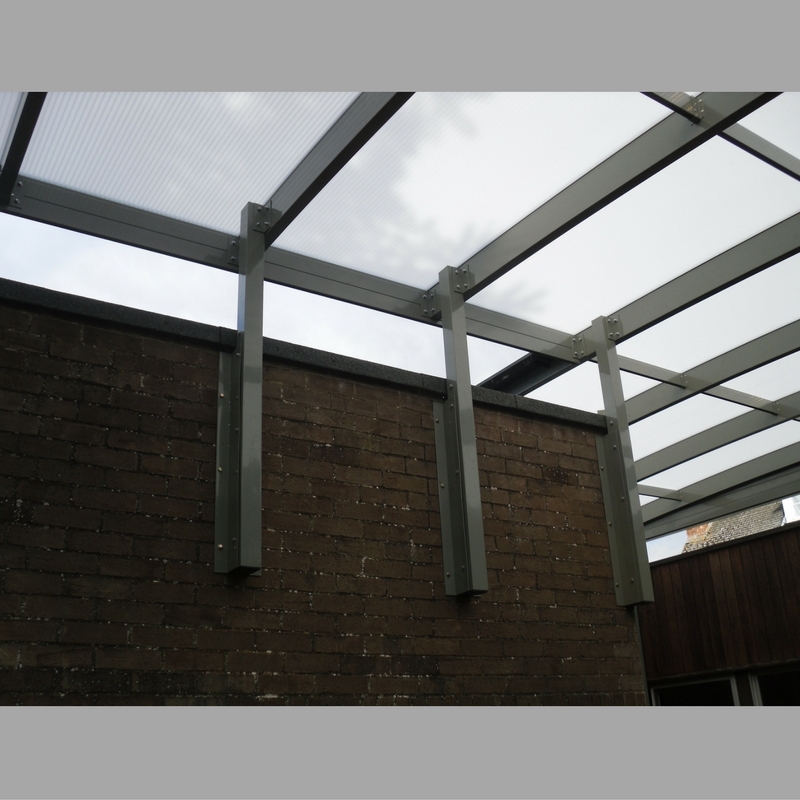 Aliport Commercial undertook a single site visit to fully understand the project, measure up and produce the designs for the new canopy to be installed. 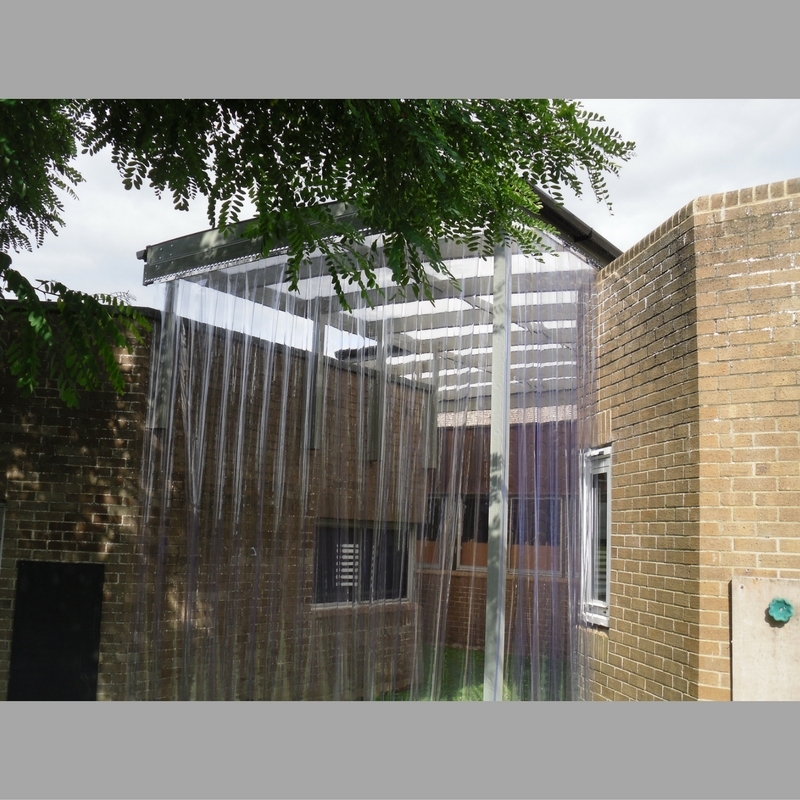 Due to the nature of the Canopy and joining to existing buildings the Canopy was built at a greater height than normal. 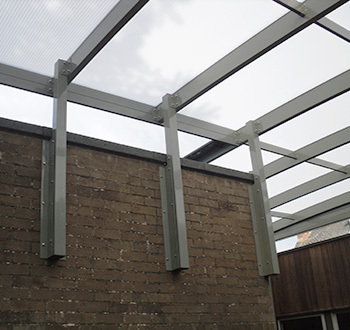 Aliport Commercial commenced works in August 2014 and over a 5 day duration installed the canopy For the duration of the works 3 fitters were on site due to the Canopy height to ensure the safety of our team. 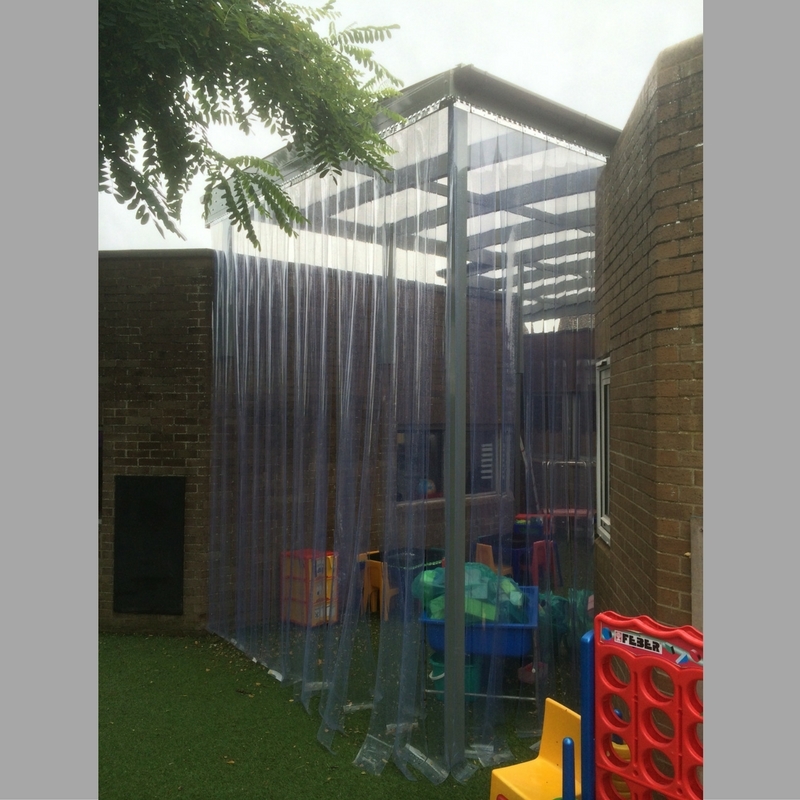 The Canopy was installed successfully and plastic screening was fitted to the canopy as a barrier to the elements. 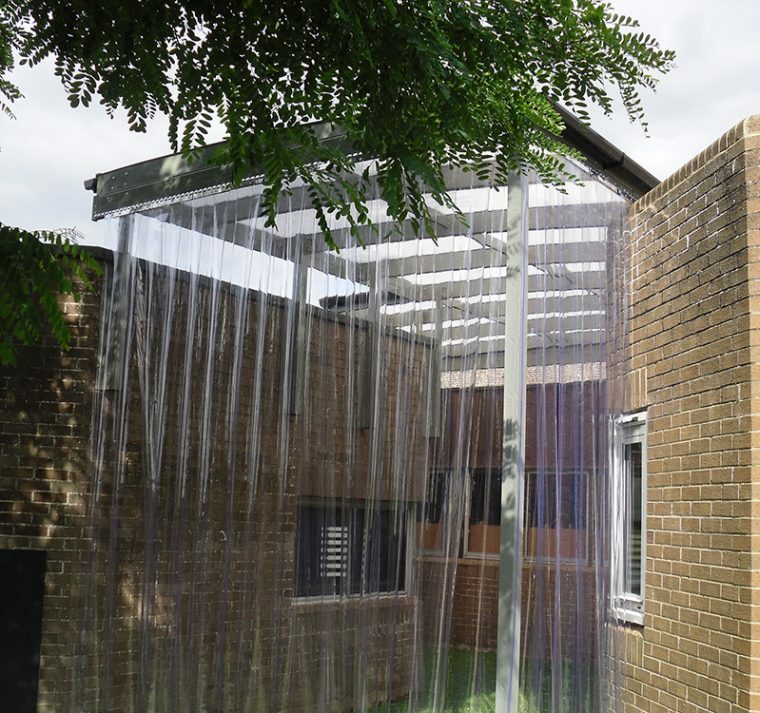 This Curved Canopy has been used to create a storage area between two buildings. . .